At last, my fingers paused and I lifted the neo-skin out from the rack, examining it in the bright light of the store. It was a “light-tone” skin, of the “Caucasoid” range. I stared at the label: “Cream”. I hated it. It sounded like food. My free hand went down my hips. I didn’t look at the mirror. “Cream”. I skimmed through the other labels. “Tawny”. “Alabaster”. “Ruddy”. “Sandy”. How trite. “Cream”. I should at least look at the appropriate range. I dreaded finding something like “Lemon meringue”. So was I “Cream”? And would the neo-skin change me as the brochure’d claimed it would? I showed my tag to the bored-looking saleslady and slipped quietly to the changing room, hating how my calves chafed. Once inside the tight cubicle, I shut the curtain and removed my clothes. Oh, god. The reflection in the mirror had a permanent frown on her face. The neo-skin draped like a second skin on her naked body. I inserted one leg after the other, careful not to fall over. The neo-skin felt velvety, smooth, as I tugged it upwards to fit my hips. I felt as if I was being moulded, shaped. For a moment, I stopped. There was no turning back. The skin slid up my chest, cupping my breasts. Then my transformation was complete. My neck felt tight and I tugged at the collar. The reflection shook her hair, glowing somewhat under the lighting. She lifted her arms, twirled around. The neo-skin had removed any trace of pubic hair. She was sexless. I was sexless. For readers and fans of my YA, a new chapter has been posted for Path Of Kindness. YA web serial fiction isn’t that popular, until you are a famous or known author. But for us, we struggle all the time. Towards a sustainable future: Thoughts on writing Rider and pictures. 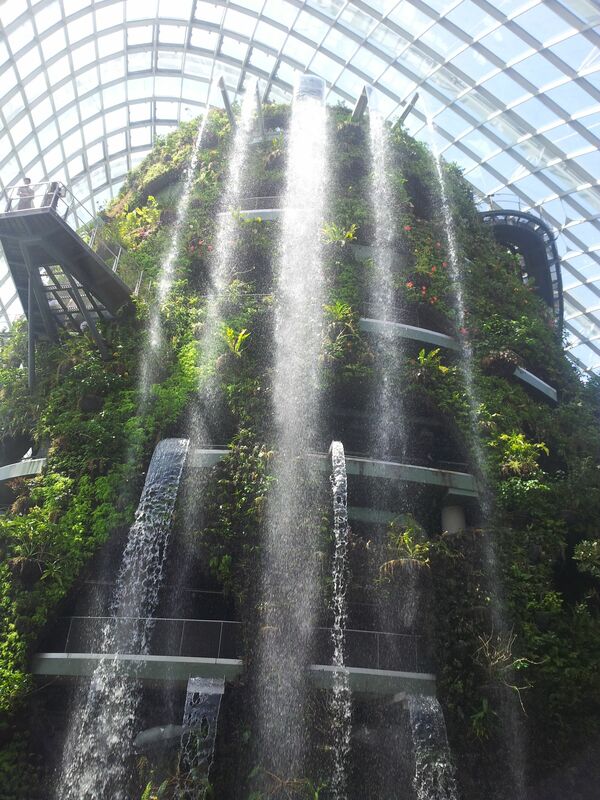 I visited the Gardens By The Bay yesterday and the experience took my breath away. 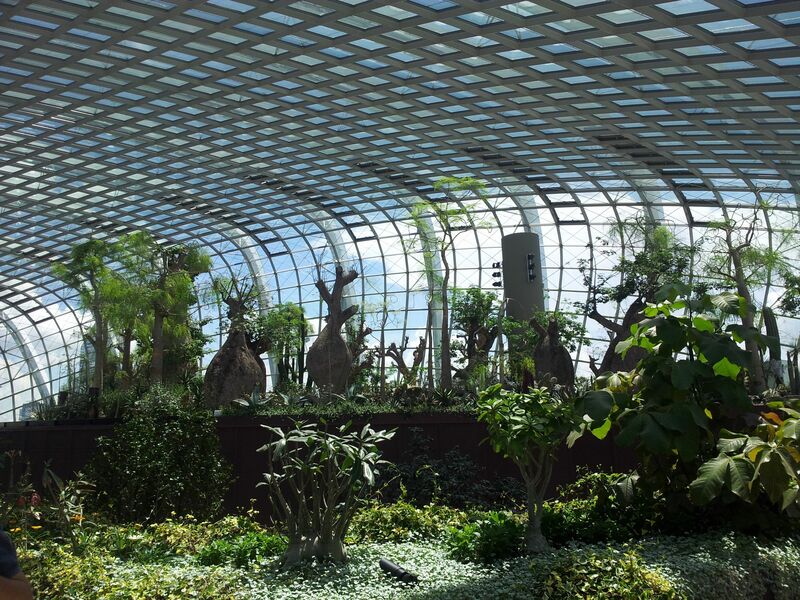 Visiting the Cloud Forest and the Flower Domes reinforced why I am writing the Rider trilogy. The experience refreshed and inspired me further. I wrote Rider for a reason. 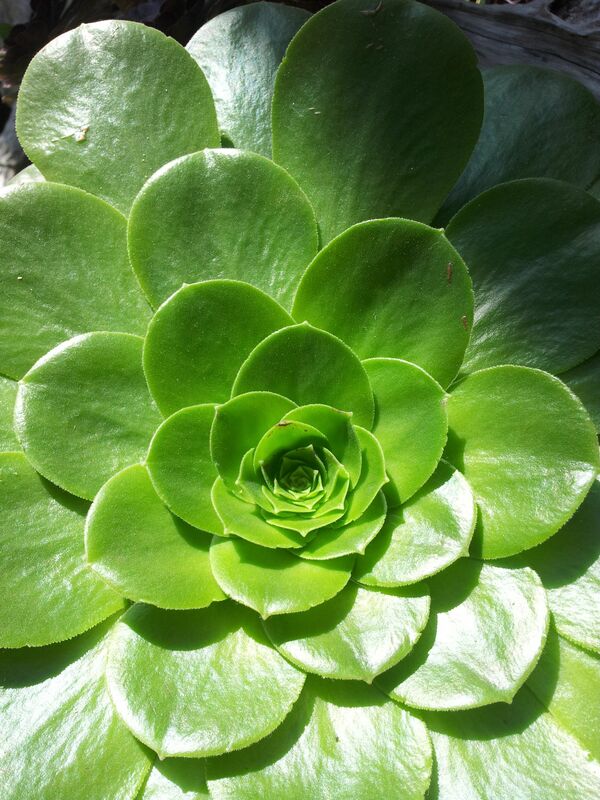 Sustaining a future is one important aspect. It’s not a matter of terra-forming a foreign planet for colonization, but an understanding of a planet’s ecosystems and environments. As I am writing now, there are forest fires, pollution and further degradation happening on Earth. Perhaps, the colonists left old Earth, because of its state… and that is a sobering thought to mull over. Li’Fang and her compatriots have to cope with a changing planet too as it reacts to the colonization. What can they do? 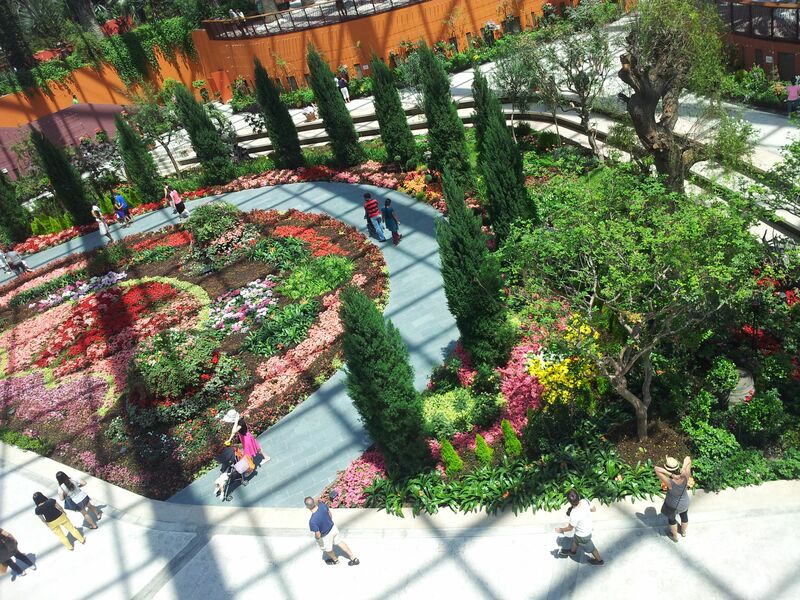 I will definitely go back to the Gardens By the Bay. The soft click of claws on dry earth woke the old priest from his light slumber. He opened his eyes, blinked in the dim light and looked around for the source of the click-click. He chuckled. He wondered if he was becoming senile at his age. For a moment, he touched his face and felt the lines. So many years. Stories, etched into his skin. His body had untold tales. The old priest wondered who would tell these stories to the young ones, especially the acolytes, firm of flesh and bright-eyed? There was that sound again. Might be one of those strays lurking around, looking for scraps from the temple kitchen. Normally, the priests would tolerate the strays, even with good humor. Something moved in the shadows. The candles flickered, as if by a gentle breeze. The old priest suddenly felt old, wizened beyond his time. He looked up at the statue before him. The statue moved. Or its shadow. The old priest started, stood up silently. For a moment, he thought he saw the sleek body, the long legs and the elegant ears shifting, alive. He began the chants, sprinkling myrrh over the hot coals. Fragrance, sizzling. Normalcy. I will see you when the time comes. The words died. He froze, almost dropping the censer. “A trick of my mind,” the old priest shivered. The voice was almost genderless. Kind in tone. He focused on the chants. In the shadows, lips curled, as if in gentle amusement. Books Actually is an independent bookstore specializing in fiction and literature. It has also one of the largest collections of retro/old stuff and antiques. History buffs and retro fans will go nuts there. And apologies to non-SG folks, it is in Singapore! The darkness has a gaping maw for a mouth. She has heard her ah-ma and aunts call this type of darkness a “hunger”. They prey on emotions, almost like the jiang shi who eats blood. She draws her athame, sweeps it in an arc, keeping it in front of her. She made Kim teach her the basics of dagger play and even then, she has probably messed up all of them. The dagger cuts a vivid red curve in the air and power rushes up her right arm, like fire, like ice. With a roar like an earthquake, the red form of a ti lung emerges from the dagger, claws out and fanged jaws bared. Its beard flows like the back-draft of fire. She is filled with immense power. “Come at me,” she challenges the darkness and her voice resonates. Her grandfather bolsters her strength. The darkness screams. It wants to eat her, but is wary of the fire and magic. It knows who she is and what she is capable of. She doesn’t wait for it to react. She launches herself at it, all black, night given form, her dagger slashing downwards. Its tip pierces it and burns its way through. The darkness’s howl fills her ears. She doesn’t care. She feels as if she is on fire, a huo lung in flight. When she hits the ground, the darkness dissipates. The howl of pain lingers in the air. There is the smell of burning and ash. She breathes hard, trying to stop the vertigo and the sudden weakness in her limbs. Her head throbs, slowly transforming into a migraine. Her phone beeps. Iron Man, by Black Sabbath. Her favorite ringtone. It is loud in the silence.